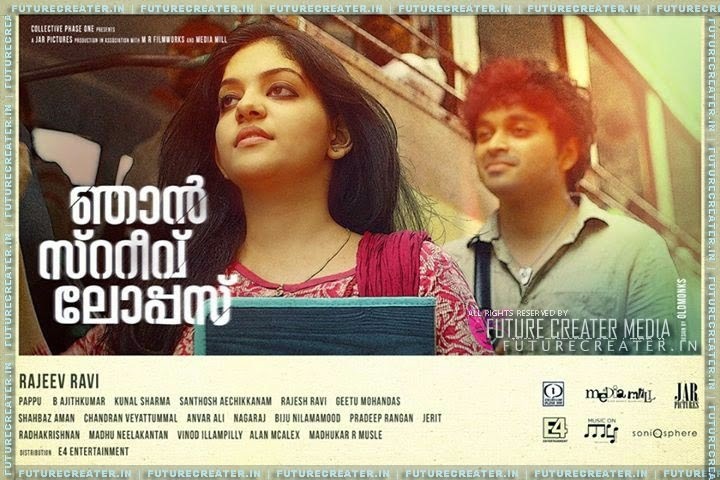 Njan Steve Lopez Review | Njan Steve Lopez FDFS Review. Again the director of romantic blockbuster Annayum Resoolum, Rajeev Ravi is again back with another movie named Njan Steve Lopez. It was very much impressive with the name and casting of the movie. This time its Fahadh's younger brother Farhaan who is doing the male lead role along with Ahaana Krishna, daughter of Actor Krishnakumar. The film offer a easy ride throughout or in other words, the viewing experience after watching the film is not a smooth one. Its the script that gives a confusing feel. The making side is good and that was guaranteed from Rajeev Ravi but that is not enough to make the film an exciting product. The pace is too slow and even though the running time is less than two hours a feel of lagging is felt and by the time the final bell rings. The story happens in an interior place of Thiruvananthapuram and revolves on the protagonist Steve who is the son of a police officer. Steve lives a carefree fun life but an incident he witnesses changes the course of his life and the message that was tried to convey is if you go behind the life of others to know about them, you are putting your life in danger. The movie begins from the romantic side of Steve and Anjali but its not a love story as this side of the story is sidelined to show something else. Direction is good but he can't do much here with this script that I would say is fit for a thirty minutes short film. Newbie’s Farhaan and Ahaana doesn't have much to perform and hence can't judge them based on this film but still It felt like that they showed promise. Rest of the acting team are all totally new and many of them are from the theatre background. Vinayakan was the sole familiar face. Technical side is impressive with good camera work. Editing was also fine with good background score. Synchronised sounds and dubbing is used in the film and it supported the film.